After you decide you need car shipping services, the next thing you should think about is what method you would like to use. There are two main methods that we use while transporting a vehicle: Open Auto Shipping and Enclosed Auto Transport. Open Auto Shipping is best when you don’t want to overpay. This method is perfect if you are looking for an affordable way to move a car. However, Enclosed Auto Shipping is better for you when you can’t afford to skimp on your car. Maybe it is a classic car or an exotic car and it needs a special kind of treatment. This is what Enclosed Car Shipping is great for. Omaha Car Transport has several options available for you. If you are looking for a regular and more affordable way to move a vehicle, we recommend our Open Auto Shipping. But if you can’t risk your car being shipped in an open trailer, we can provide you with Omaha Enclosed Auto Transport. 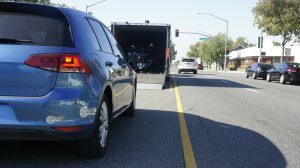 If you choose this method, your car will be placed in an enclosed trailer and shipped with the highest level of safety. It’s perfect for sports cars, retro cars, exotic cars or any car that has a very special value to you. We use enclosed car shipping as a standard method for our Omaha Exotic Car Transport. We know how to treat the most expensive cars correctly. Our drivers will take care of your vehicle and make sure it arrives safely at its destination. It will also be insured with our car carrier for the time of the shipping process. Get a free quote from Omaha Car Transport for your enclosed auto shipping. You can request it over the phone or online here on our website. We are looking forward to shipping for you!